Summer is coming, many ladies will worry their fat legs. But the summer midi skirts won’t let you feel your legs have any questions. So how to spend a beautiful summer, the main ides is how to choose the right clothes. The women midi skirts look like be designed for this season. They can hide all the disadvantages for our legs. They give people the most beautiful side. When we go to work we always miss the time of being students. Although we really can’t go back to that time, we can buy some clothes to help us. This black high waist midi skirt is very suit to students. When we match with the white T-shirt upside, it seems we are the real student. As a people, we should try something new. 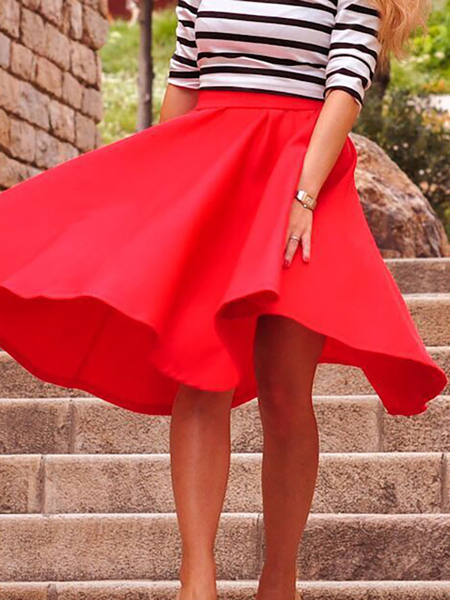 Red midi skirt is full of challenge and it’s a little difficult to hold. But it doesn’t mean we can’t buy it. Sometimes we need courage to change ourselves to get a better effect. The ruffled hem design let the whole midi skirt alive again. We need to take the first step to have a try. 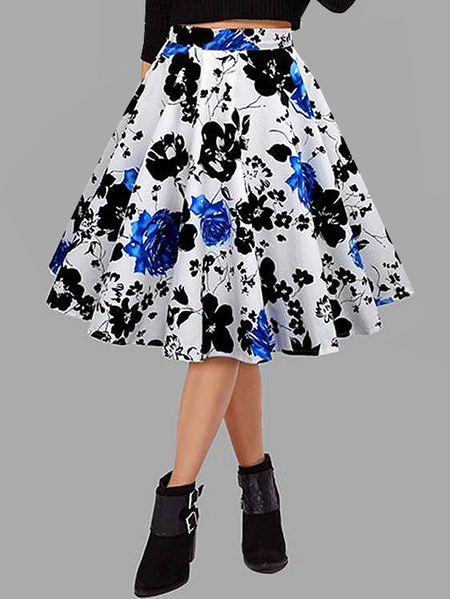 The simple skirt with the floral print and it makes the whole midi skirt look like not so simple again. It creates the new life for the midi skirt. When we wear them, it is charming and beautiful. Even to say we can go to the fashion show. The special design swing can show our long legs completely. 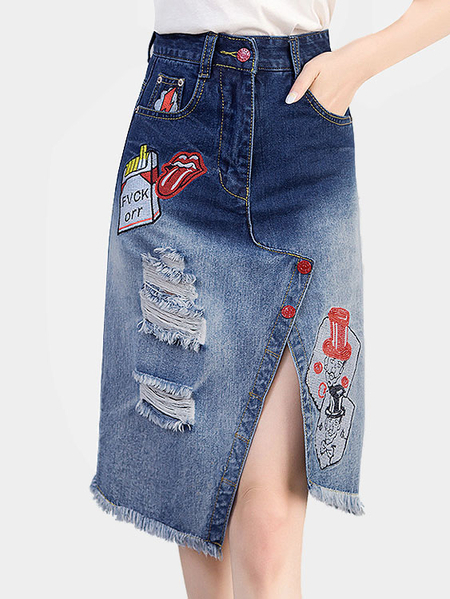 Speaking of skirts, we can’t forget the blue splited denim midi skirts. It has the same material with the jeans. Although the jeans are popular all around the world for a short time, they stand for a kind of fashion. The design of high waist let us look like very tall and energy from the long distance. Please chose more new style skirts at Yoins.com to showing a sweet style for girl.